This wellness shot involves no needles, and that’s a big plus. Any of the ingredients in this wellness shot would make a great juice. Put them all together and they are yummy and really good for you. The ingredients are known to fight inflammation, combat infection, clear mucus, and stimulate your immune system. 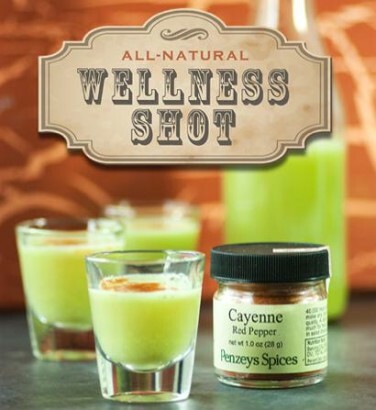 You can take this wellness shot regularly to help prevent colds and flu, or to help cut a cold short. It also can be useful for flu relief.